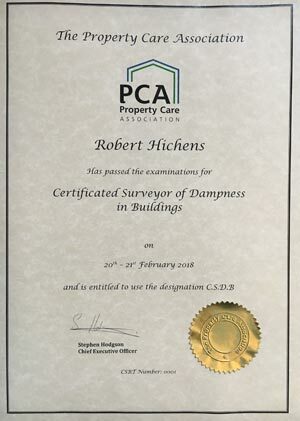 If we positively identify Rising Damp as the cause of dampness in your home, we will offer to drill and inject the market leader, DryZone thixotropic cream, in accordance with BRE245, the British Research Establishment Digest “Rising Damp In walls Diagnosis and Treatment”. The only condition is pre-payment of a survey fee of £199 (no VAT payable) before 1 October, which will be repaid in full if you are not satisfied with our service. 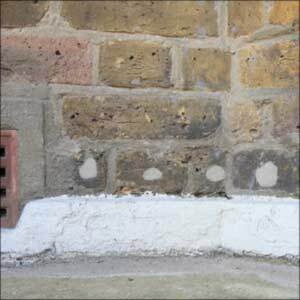 A typical damp wall requires about 10 holes to be drilled and injected with a thixotropic cream, in accordance with BRE245. We used DryZone, the market leader by SafeGuard. Half an hour and the job is done during the survey – no mess, no hassle, no additional cost. Dry again. Job done. PLEASE QUOTE THIS OFFER, SO THAT WE ENSURE THE CORRECT EQUIPMENT IS BROUGHT TO THE SURVEY.